How Green Is Your SIGG Water Bottle? 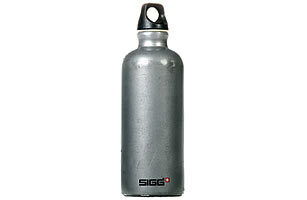 SIGG's trendy aluminum water bottles have scored a lot of free advertising in recent years. In Touch Weekly raved about how Madonna's kids sipped from the lightweight, eco-conscious and super-cute bottles. Julia Roberts was photographed with one. Jennifer Garner was too. The Swiss brand became the must-have accessory as consumers rushed to find alternatives to plastic bottles that contained bisphenol-A (BPA), a controversial chemical used to harden plastics, which some studies have linked to diabetes, premature puberty in girls and reduced sperm count in men. SIGG's reusable aluminum bottles seemed the perfect antidote, a one-two punch protecting both our health and the environment. To placate the masses, SIGG has agreed to exchange those older, BPA-laden bottles for new ones through Oct. 31 , but I'm still feeling betrayed. Like many parents I know, a couple years ago I tossed all the baby bottles I had — and any suspect sippies too — and invested in SIGGs, which cost about $20 each. The blogosphere is full of people like me who hopped on board the environmental, health-conscious bandwagon, only to find out we were going in the wrong direction. "I'm feeling kind of like I did when I found out that John Edwards cheated on his wife," Kellie Sloan Brown wrote on her blog, GreenHab: The Browns Go Green . "It isn't the worst thing to ever happen in this world, but I still feel really disappointed because I thought SIGG to be a genuinely green company." SIGG has been around for more than 100 years, but it's been fairly recently that its bottles have popped up everywhere, with everyone. Much of its popularity can be traced to research publicized in 2007 about BPA's questionable safety. Since then, Chicago, Connecticut and Michigan have restricted the chemical, and more than 20 states are considering similar bans. The Environmental Protection Agency has placed BPA on a priority review list. The consumer uproar has been eye-opening for SIGG CEO Steve Wasik. He thought going green just meant being good to the earth; he didn't realize it meant fessing up too. "Being a green company also means being held to the highest degree of corporate transparency," he wrote in an e-mail. "I fully expect that SIGG will not let consumers down in the future." 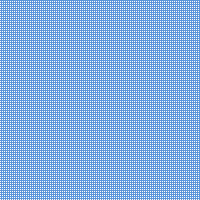 So how can you tell which lining you've got? Peer inside your bottle. If it's a shiny coppery-bronze, it's the old, BPA-infused liner. If it's a pale matte yellow, you've got the EcoCare liner, a new powder-based, co-polyester, water-based liner that SIGG says is 100% BPA- and phthalate-free. Question is, do we believe the company this time?